BRIGHTON, Mich. - Every year the U.S News & World Report releases a report that recognizes cars that are considered to be a great value and a joy to own - this report is also known as the 'Best Cars for the Money Awards'. For the 2014 Best Cars for the Money Awards, Ford stood out amongst the competition and received the most awards of any domestic automaker and any single brand. 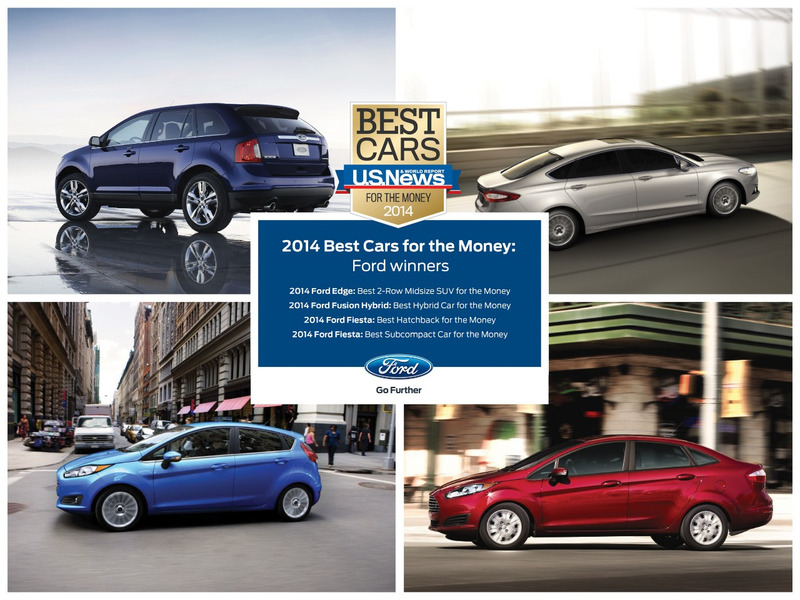 For the Ford Edge and Ford Fusion Hybrid, this award makes three consecutive wins. Although U.S. News & World Report have made Ford the most-awarded brand, they considered 225 vehicles in 21 categories before realizing that Ford was a good step above the competition. To award the winners, they took multiple factors into account including the combined average price paid from TrueCar.com and the five-year total cost of ownership data from the U.S. News Best Cars rankings data. At Brighton Ford, you can find a great selection of Ford vehicles - including the ones recognized by U.S. News & World Report. We offer a great selection of new, used, and pre-owned Fords at our dealership. Stop by Brighton Ford today and we guarantee you will drive away happy!